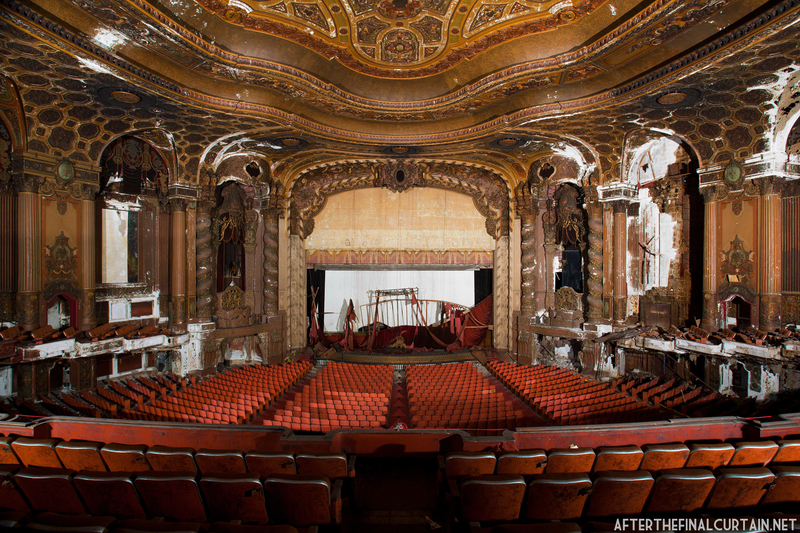 I’ve decided to expand my post on the Kings Theatre into four parts using some excerpts from my book, Kings Theatre; The Rise, Fall and Rebirth of Brooklyn’s Wonder Theatre. Find out more about the book here. Blueprints for the auditorium of the Kings. Originally a carport for the Brooklyn Railroad Company, 1027 Flatbush Avenue in Brooklyn, where the Kings was built, was actually almost the home of another theater ten years earlier. William Fox of the Fox Film Corporation purchased the property on November 1, 1919, and intended to build the biggest theater in Brooklyn on the site. Fox hired famed theater architect Thomas W. Lamb to design a 3500 seat theater on the property, but it never happened. Fox liked to buy land in areas he thought could be or needed a theater, often never building anything and just selling the land years later. 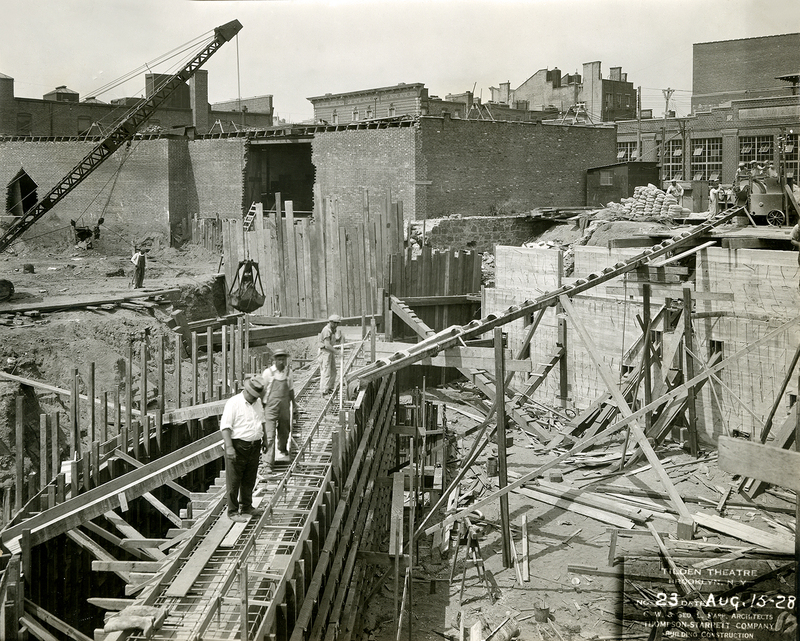 Workers constructing the foundation of the theater. In 1927, Famous Players (Paramount) entered into an agreement with the Allied Owners Corporation, a subsidiary of New York Investors, Inc., to finance the construction of the theater. According to the agreement, the Allied Owners Corp. would hold the deed to the Flatbush Ave. property along with three others in New York and one in Birmingham, Alabama and finance the construction of the theaters. Upon completion, the theaters would be leased to the Paramount-Famous Players- Lasky Corporation to repay the bond. In October 1927, Allied Owners sold an issue of $9,500,000 real estate bonds and used the profits to finance the building of the five theaters. These theaters were the Paramount, Kings, and Pitkin in Brooklyn, the Valencia in Jamaica, NY, and the Alabama Theatre in Birmingham. 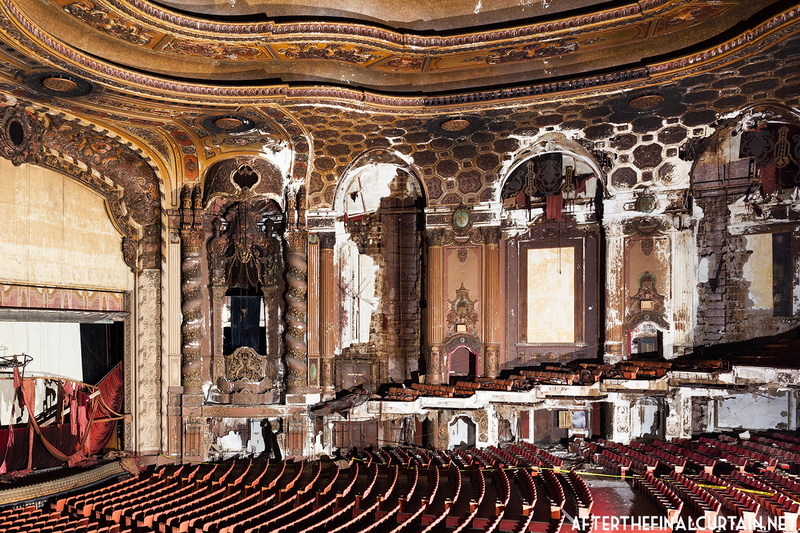 View from the main level of the auditorium of the Loew’s Valencia in Queens, NY. When the Loew’s Corporation found out about the theaters, Nicholas Schenck contacted Paramount to offer a new deal. In exchange for showing Paramount Films in over 40 of Loew’s theaters, Paramount would sublease three of the four New York theaters over to Loew’s, keeping the one located in downtown Brooklyn.When the agreement was finalized, the Pitkin, the Valencia, and the Kings opened as Loew’s theaters. The theaters would be paid for in 181 monthly payments: $20,983 a month for The Kings, $18,873 for The Pitkin, and, $18,228 a month for The Valencia. 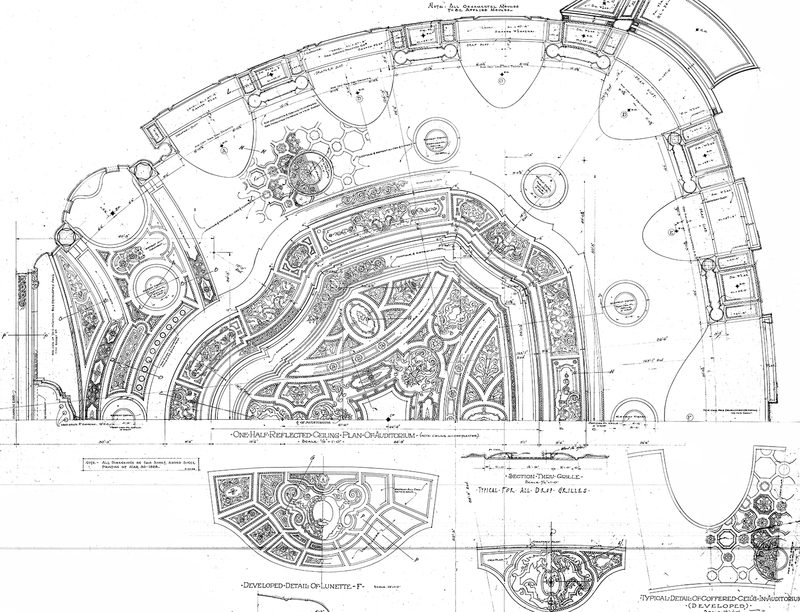 Blueprint for the auditorium ceiling. Paramount hired the architectural design firm of Rapp & Rapp to design the Kings. 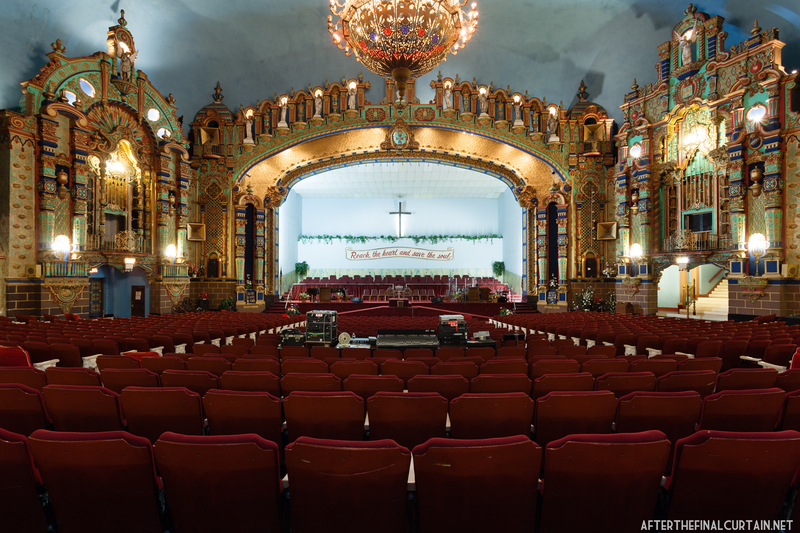 They were also responsible for designing the Paramount Theatre in Manhattan, the Paramount Theatre in Brooklyn and the Uptown Theatre in Chicago. C.W Rapp passed away in 1926, and most likely had nothing to do with the designing of the Kings. Edwin “Ted” Bullock, one of George and C.W’s nephews, ran the New York office of Rapp & Rapp, located in the Paramount Theatre Building in Times Square, during the 1920s. The steel framework of the Kings Theatre. Work on the Kings began in the spring of 1928. The railroad buildings were demolished first, to make way for the building’s foundation. 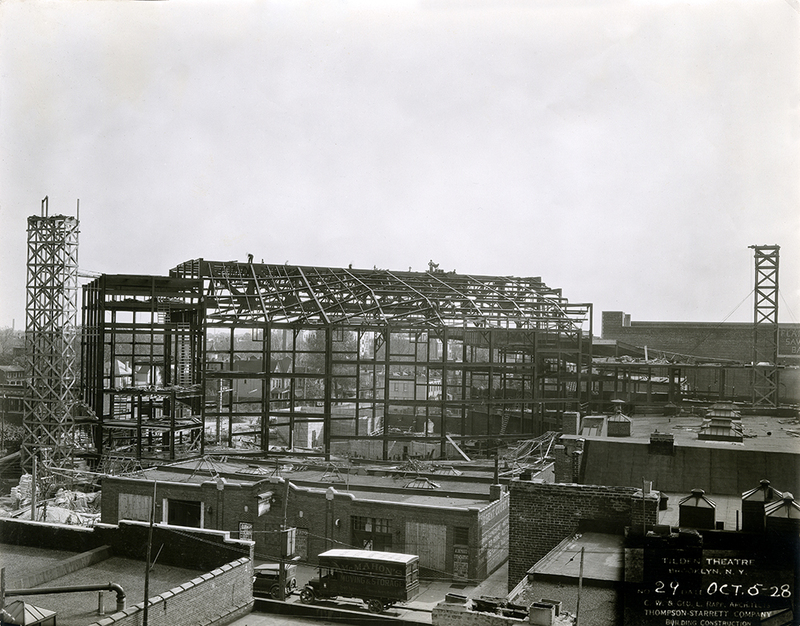 Once the foundation was poured, the steel frame was erected, followed by the roof. This permitted construction at the top of the building and the bottom simultaneously, which allowed for faster building. The Kings cost 1,300,000 to build in 1928 which when adjusted for inflation comes to $17,767,198.83. 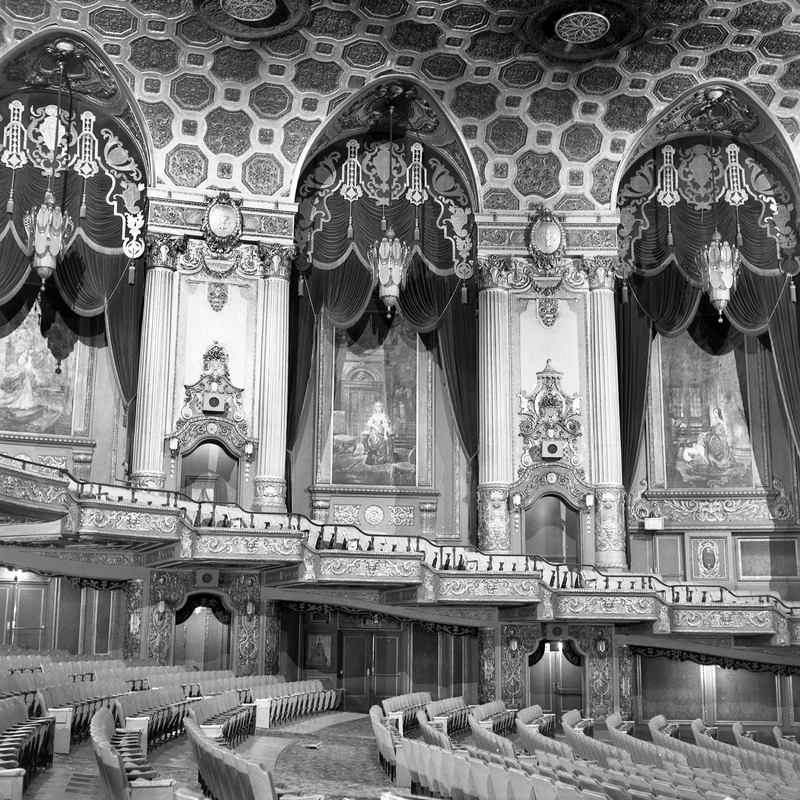 The interior of the Kings was decorated by the Rambusch Company with the assistance of Anne H. Dornin, who was in charge of theater decor for Loew’s Incorporated. Dornin, an architect herself, started work with the firm of Thomas W. Lamb shortly after graduating from Columbia University, and became associated with the Loew’s Corporation after decorating the interior of some of the theaters Lamb designed for Loew’s. She came up with something she called “the Theatre Decorators’ Color Chart” which had certain criteria she used to determine what colors would be used inside each theater she decorated. The main colors she picked for the Kings were Red and Bright Gold, which she felt were perfect for large theaters in metropolitan areas. View from the balcony shortly before opening. According to E.A. Schiller, a VP of Loew’s Inc, the original structural plan was changed due to vaudeville and silent films declining in popularity, and motion pictures becoming more and more prominent. The entire design was revised to further the acoustical properties of the theater. 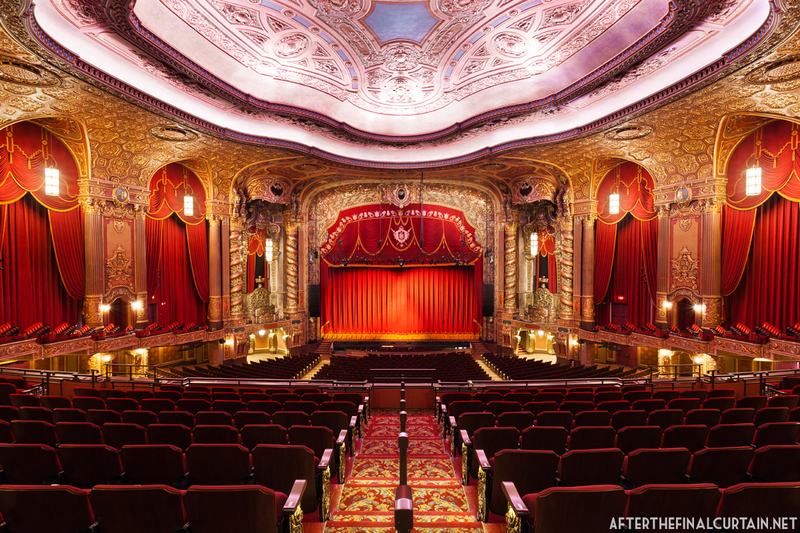 Engineers at Loew’s came up with a coating that when applied to the ceilings and walls of the theater would create a texture would help to give a more uniform sound vibration across the entire auditorium. Even the elaborate ornamentation and heavy velvet drapes were designed to distribute sound throughout the auditorium. Another change that was made to further the audibility of sound coming from the screen was the reduction of the size of the balcony. The original plans called for the Kings to have a much larger balcony, but it was discovered that a shorter and wider mezzanine would improve sound and vision. The auditorium’s footprint was widened to account for more seats being placed on the main level. 2,793 of the 3,692 seats were located on the main level with 899 in the shallow balcony. The wider auditorium also helped the sound from the speakers behind the screen to reach the entire audience. The exterior of the theater circa March 30, 1930. Kings wasn’t always the name of the theater. It was first called the Tilden, named for the nearby cross street. Paramount had intended to call it the Tilden Theatre, but when Loew’s took over they considered several different names including Loew’s Tilden and Loew’s Regent. 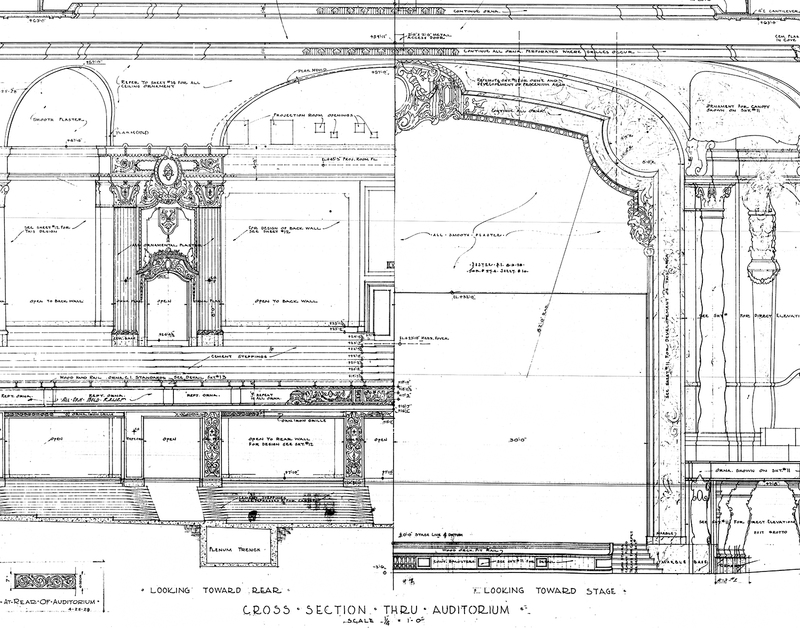 Regent made it as far as being included in some of the blueprints and contractors’ agreements, but in the end the theater was named “Kings” for the county where it was located. This final name change came around six months before the theater opened, in time to include it on the marquee and vertical sign. The opening day program from September 7, 1929. 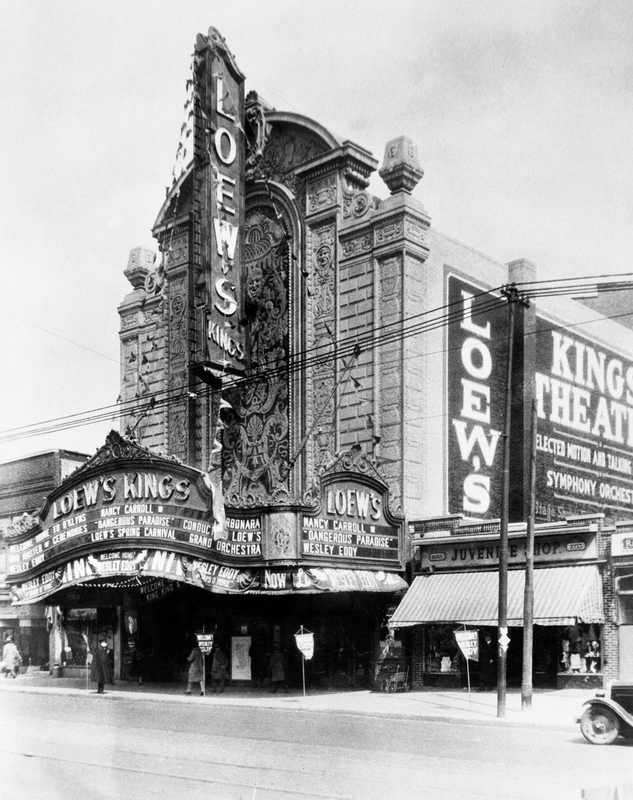 On July 26, 1929, E. A. Schiller, vice-president of Loew’s, announced that the grand opening celebration of the Kings would take place on August 24, 1929. However there were two delays before the theater finally opened on September 7, 1929. The doors were opened to the public at 11 AM as part of a full day grand opening celebration. However, the official ceremony did not kick off until 9 PM that evening when James J. Bryne, the Brooklyn Borough President, took the stage. Bryne spoke about how grateful the residents of Brooklyn were to have a magnificent theater like the Kings opening in their borough. 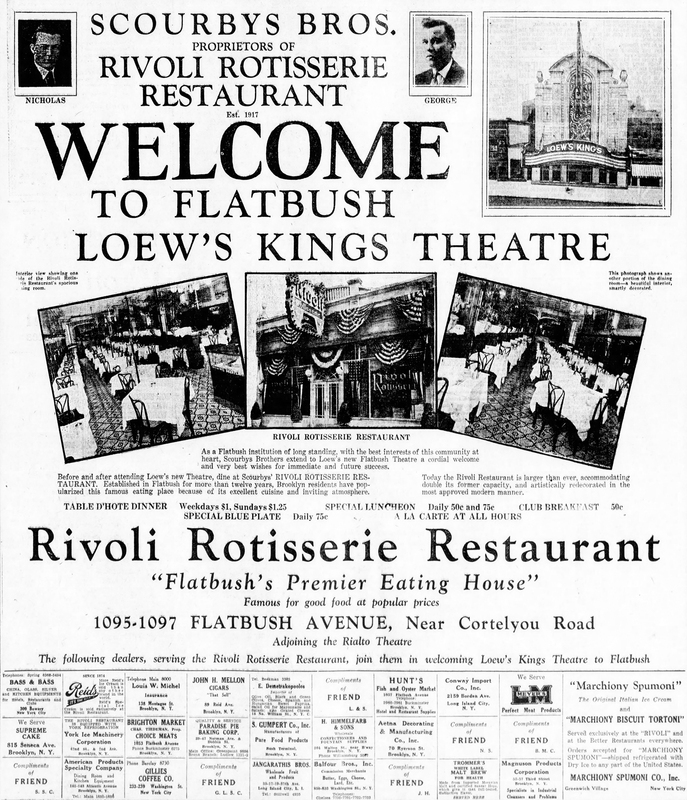 Rivoli Restaurant was one of the many Flatbush establishments to take out an advertisement in the Brooklyn Daily Eagle welcoming the Loew’s Kings Theatre to the neighborhood. A number of movie stars made special “appearances” at the opening via pre-recorded messages. Marion Davies, John Gilbert, Conrad Nagel, William Haines, and Buster Keaton each appeared on screen congratulating Loew’s on the opening of its new theater. The opening presentation was a Broadway-style stage show called Frills and Fancies and was directed by Arthur Knorr. It began with a rendition of The Star-Spangled Banner by Beal Hober, which was followed by an overture performed by the house orchestra, The Kings Grand Orchestra. Wesley Eddy, the evening’s Master of Ceremonies, took the stage next and sang If I Had You, and It All Depends on You. Jack North, a banjo-playing comedian, took the stage and sang a few songs. Christy and Nelson, a comedy acrobatic team, had the audience laughing with their routine. William “Singing Bill” Zuckerman, the Kings organist, played the Wonder Morton Organ, and a talking newsreel was shown. Next, Teddy Joyce, master of ceremonies at the Loew’s Penn Theatre in Pittsburgh, PA came out to introduce the star of the evening, Dolores Del Rio. Del Rio said a few words to mark the occasion and to introduce her film “Evangeline” which was the night’s feature presentation. Eddy retook the stage to sing the theme song for Evangeline. Nina Oginska, an internationally famous ballerina, and the Chester Hale Girls joined him on stage during the theme song. According to an advertisement in the Brooklyn Daily Eagle, 10,000 people attended the opening celebration. Part Two will be available soon. Material from for this post was taken from the first three chapters of my book, Kings Theatre; The Rise, Fall and Rebirth of Brooklyn’s Wonder Theater. If you’d like to buy a copy they are available on Amazon, and my website. 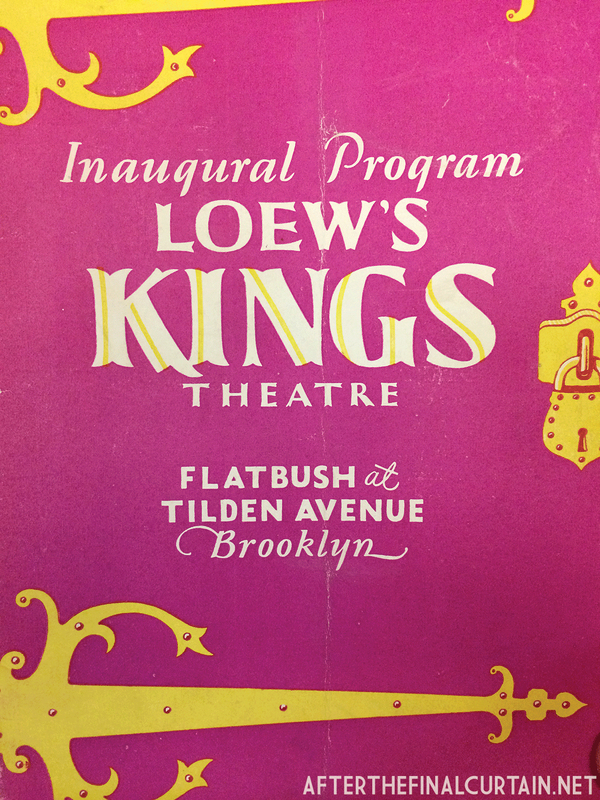 What was the original name of the Kings Theatre in Brooklyn? Is there a reason it was painted in red and gold? What famous architect almost designed the Kings? These questions and more are answered in my new book, “Kings Theatre: The Rise, Fall and Rebirth of Brooklyn’s Wonder Theatre“, which is available now! It was published by the Theatre Historical Society of America, and contains never before seen historic and modern photographs of the Kings, as well as a complete history of the theater. The book can be ordered on Amazon and signed copies are available via my site. View from the balcony of the Loew’s Kings Theatre. Hey Everyone! There are a couple big events coming up – the 5 year anniversary of After the Final Curtain, the release of the Kings Theatre book, the AFtC Facebook page reaching 10,000 (!) followers, and one other announcement I’m going to keep secret the moment. 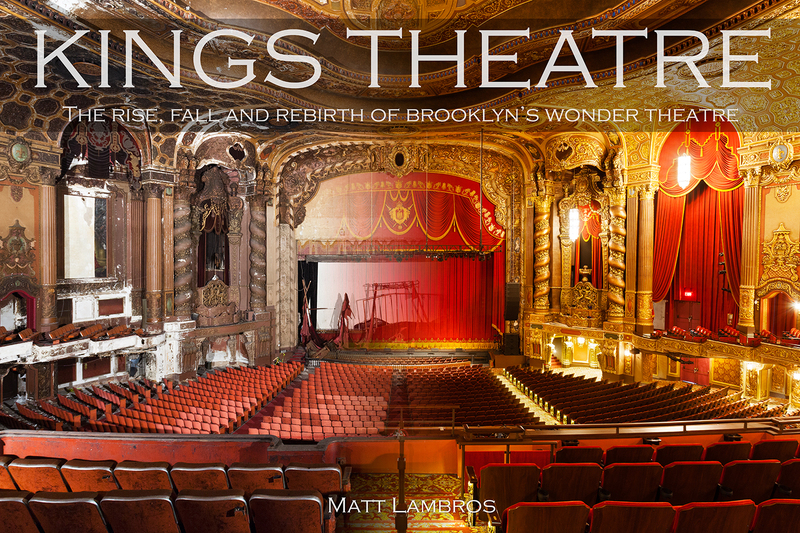 To celebrate, I’m going to give away a signed copy of my upcoming book, Kings Theatre; the Rise, Fall, and Rebirth of Brooklyn’s Wonder Theatre when it’s released to one person who shares or likes a post on the AFtC Facebook page from now until the page reaches 10,000 followers. Thank you for all your support over the years and good luck everyone! Proscenium arch from the balcony, Loew’s Kings Theatre. I’m very excited to announce that I’ve partnered with the Theatre Historical Society of America for my first book: Kings Theatre, The Rise, Fall and Rebirth of Brooklyn’s Wonder Theatre. 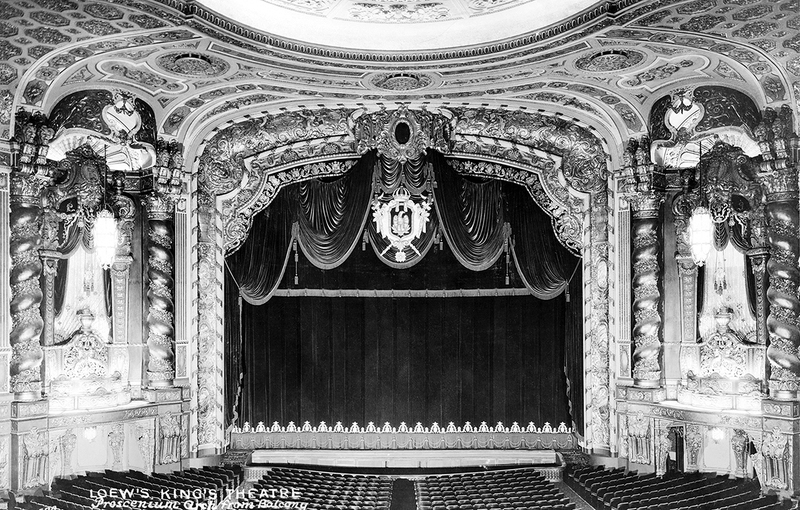 The book will cover the entire history of the Loew’s Kings Theatre from it’s original construction to the reopening in February 2015. 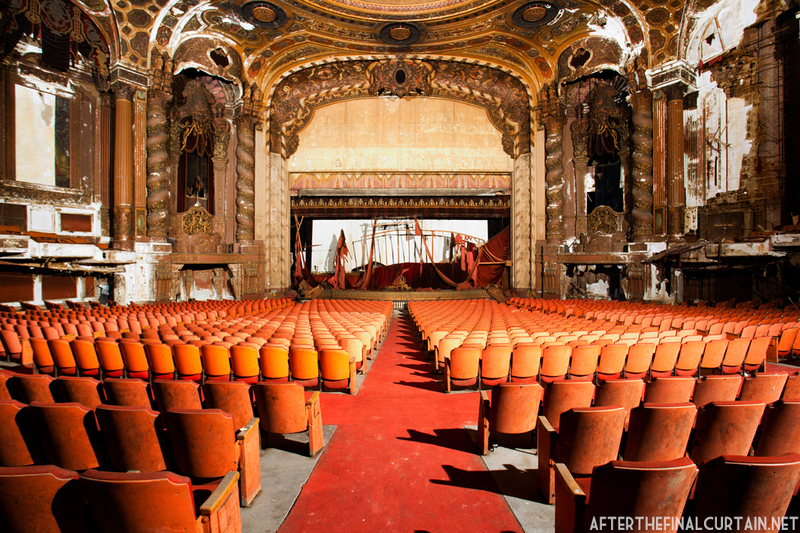 I’ve photographed over 75 abandoned theaters over the past 5 years, and being able to document one being restored has been amazing. Every visit to the theater has been awe inspiring and I can’t wait to share what I’ve seen with all of you. Thanks to everyone at THS, ACE Theatrical Group, Evergreene Architectural Arts, Martinez + Johnson Architecture and Gilbane Building Company for all the help bringing this project to fruition. While I was researching the Loew’s Kings Theatre , I came across a documentary called “Memoirs of A Movie Palace.” Directed by Christian Blackwood , the film was released in 1979 and detailed the history of the Kings. The following is a clip featuring designer Harold W. Rambusch discussing the interior of the theater. 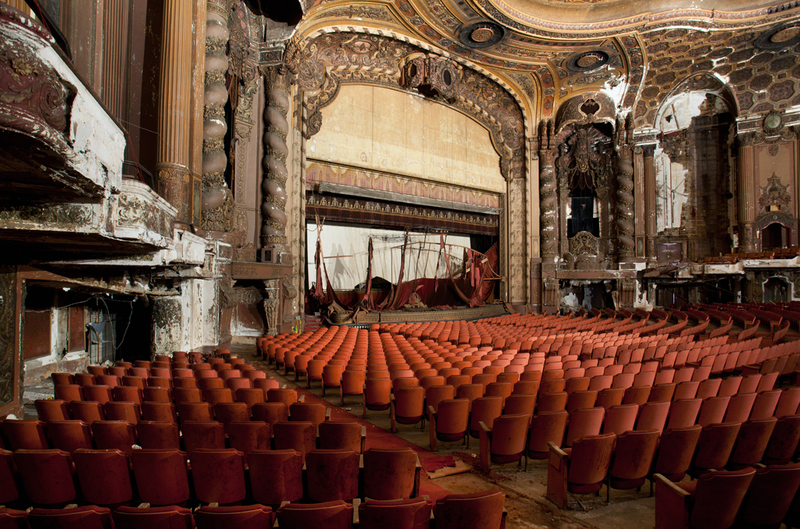 I’ve decided to expand my post on the Kings Theatre into 4-5 parts using some excerpts from my book, Kings Theatre; The Rise, Fall and Rebirth of Brooklyn’s Wonder Theatre. Find out more about the book here. This original post will remain, and the first part in the new series can be viewed here. View of the auditorium from the center of the main level. Loew’s Kings Theatre opened on September 7, 1929 in Brooklyn, NY, and was designed by the architectural firm of Rapp and Rapp (also known for the Paramount Theater in Times Square) and decorated by Harold W. Rambush. 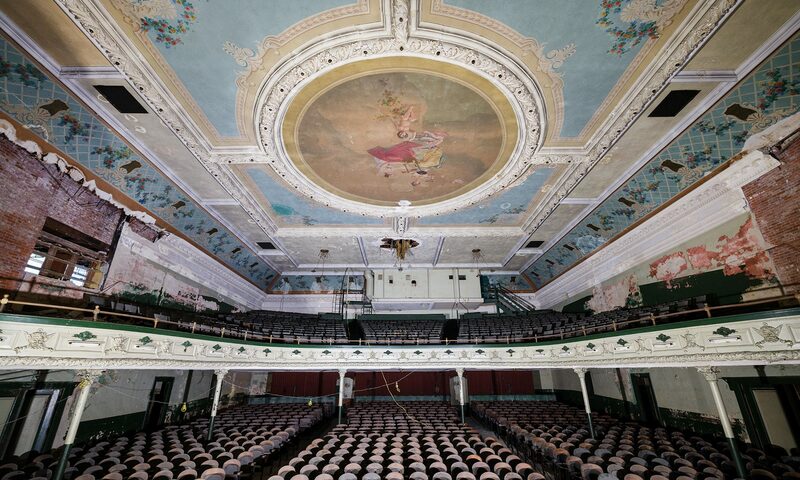 It was operated by the Loew’s theaters chain, and, along with the Loew’s Jersey Theatre, Loew’s Paradise Theatre, the Loew’s Valencia Theatre and the Loew’s 175th Street Theatre, it was one of the five “Loew’s Wonder Theaters” in the New York metropolitan area.